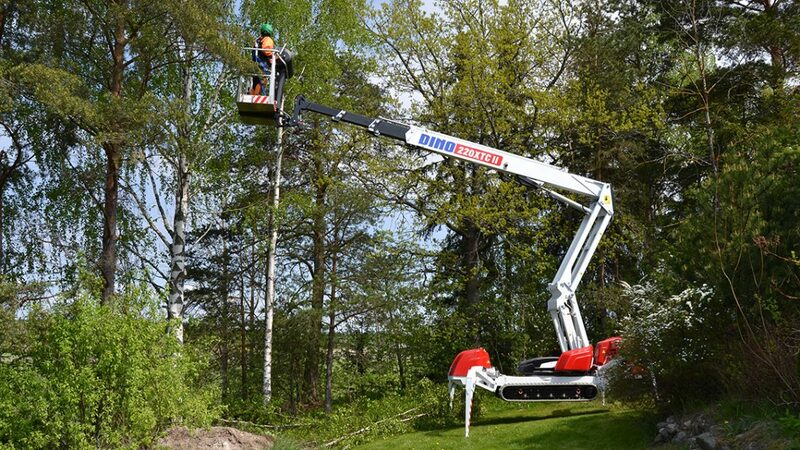 The DINO XTC II is fast and easy to set up with one position spider type outriggers and a one-button auto levelling which allows for levelling in up to 16° inclination side-to-side and front-to-back. 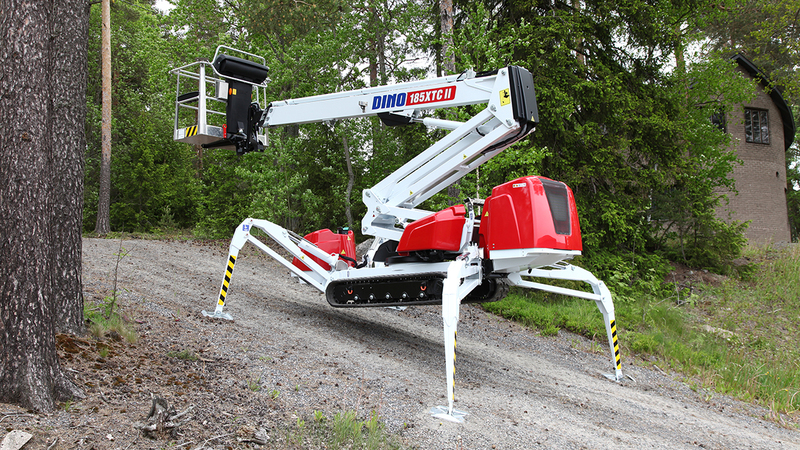 The DINO XTC II has an outdoor performance extremely difficult to beat. 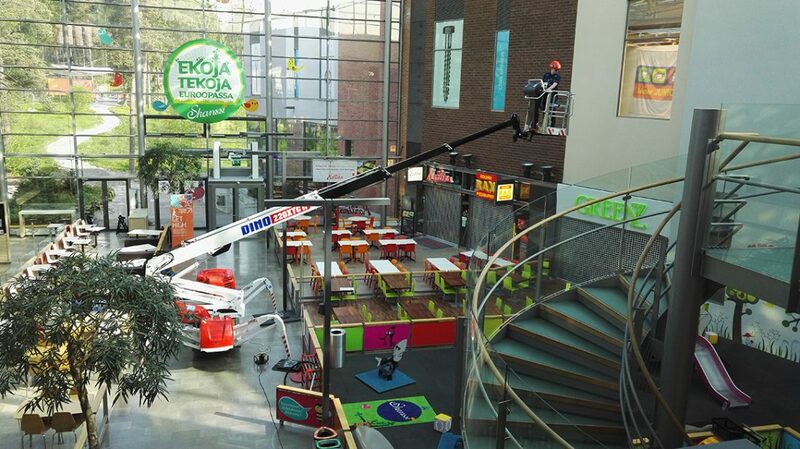 It has a market leading 43% gradeability thanks to a low center of gravity and high tilt angles. 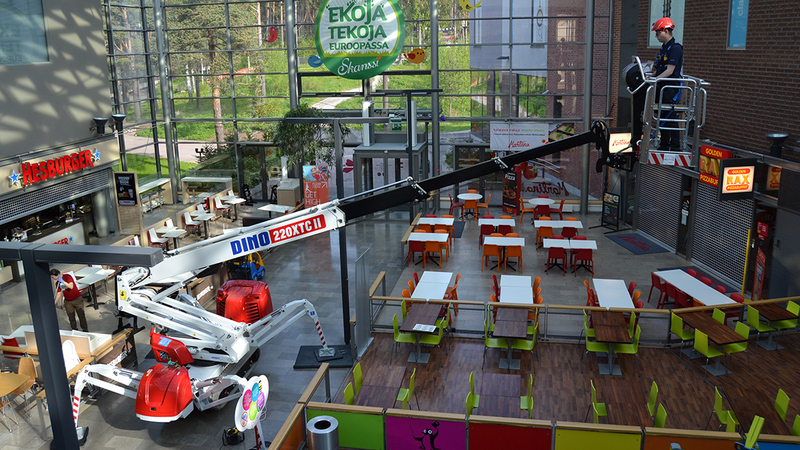 The DINO XTC II is stable and safe during track operation, tracks are 1.93 m long and surface pressure is low. 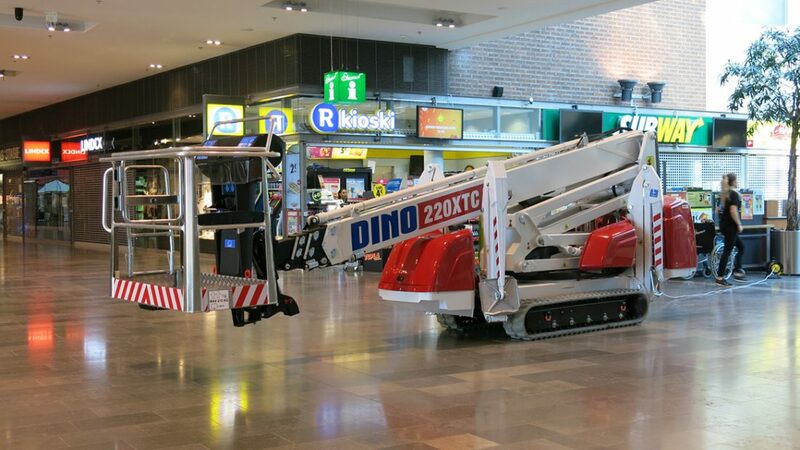 For use indoors, the DINO XTC II can be fitted with a 230VAC electric motor for operation of all movements. Minimum width of 1.18 m allows for access in narrow doorways and non-marking tracks can be fitted to prevent marks on sensitive floor. 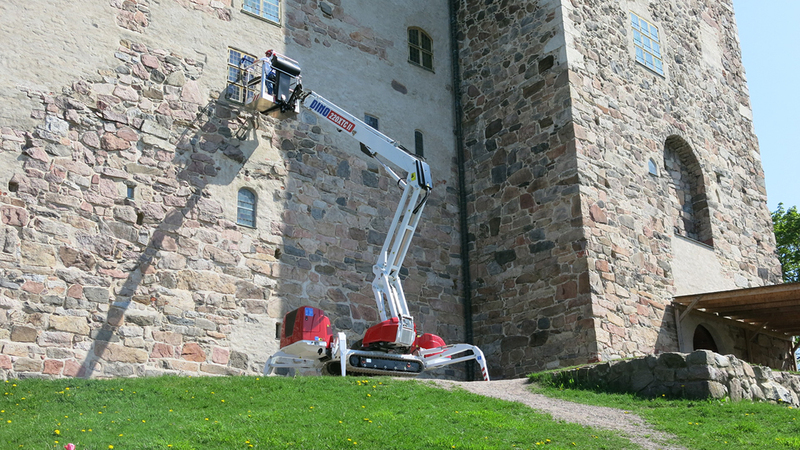 The DINO XTC II spider is the right choice when there is a need for an allround, easy to use MEWP with excellent driving and levelling capability in difficult terrain. 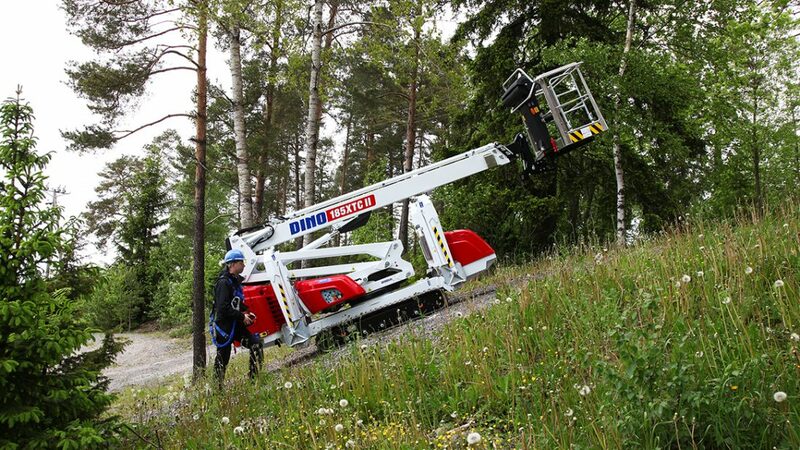 Soft or uneven ground is no problem for the DINO XTC II thanks to its low ground pressure and low center of gravity. 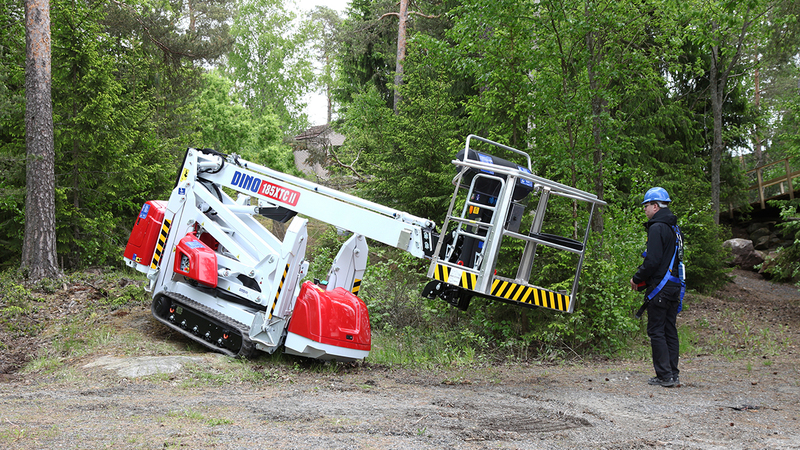 The easiness and reliability of operation makes the DINO XTC II a perfect machine for rental use both outdoor and indoor. 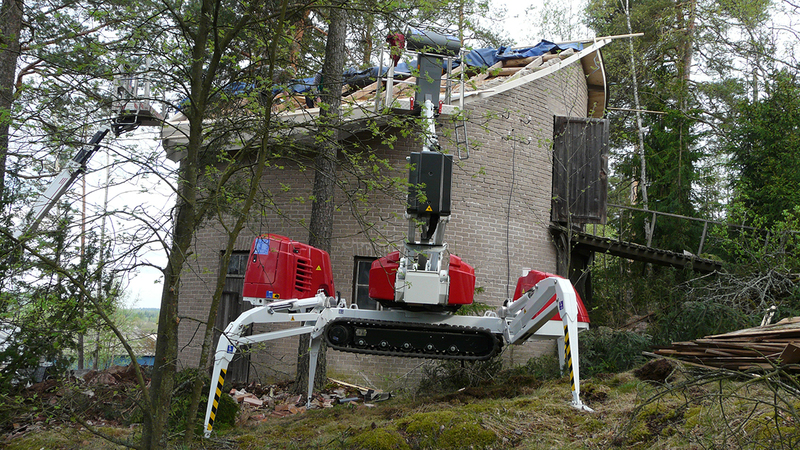 Excellent gradeability and levelling capability gives easy access in work sites where other machines are unable to go. 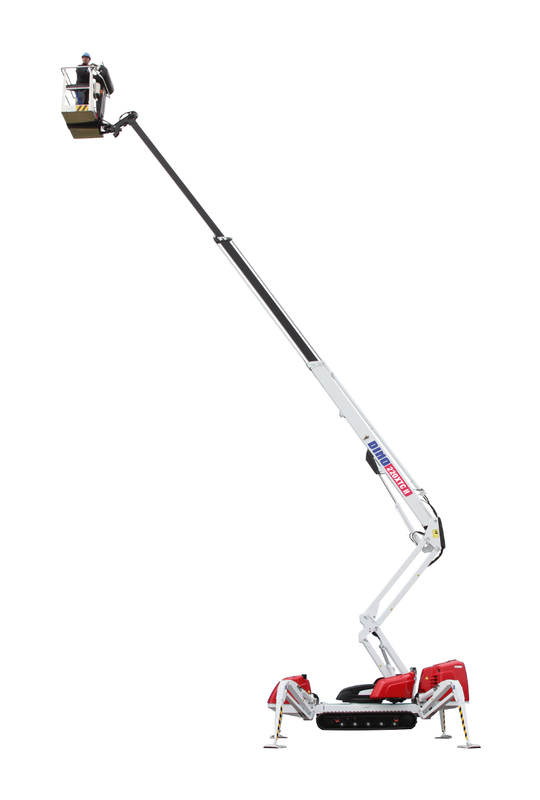 The DINO XTC II spider is easy and fast to set up, the one position outriggers with maximum ground clearance of one meter can be levelled automatically with the push of one button. 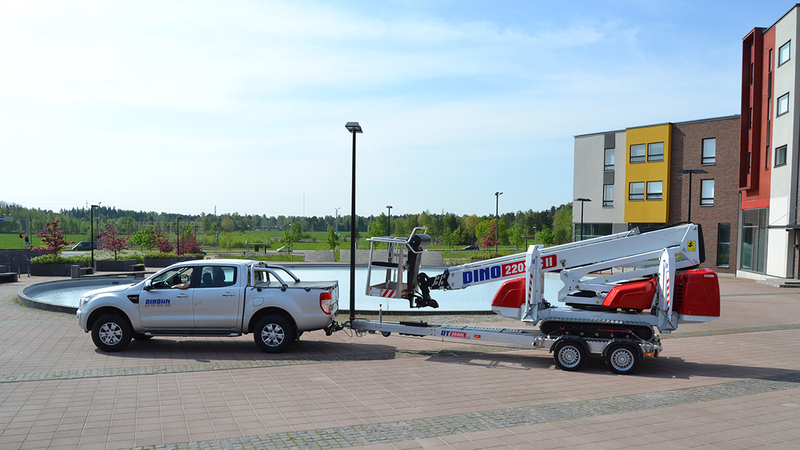 Transportation is easy with a bespoke trailer DT3500L also manufactured by Dinolift, or a flatbed truck or trailer. 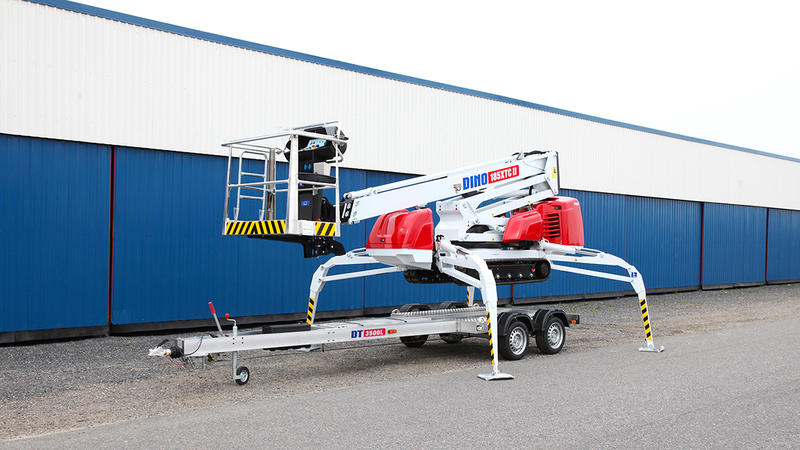 Load and unload by lifting the XTC II on to trailer with outriggers. You can also use ramps to drive the machine on to the trailer. Driving is precise with proportional controls and a powerful engine.